USA Today reported that Radio transmitters are used by scientists at the national preserve to track male pythons and then the locations of the males used to find breeding females. As the species poses grave threat to wildlife, Big Cypress is taking necessary measures to control their population. 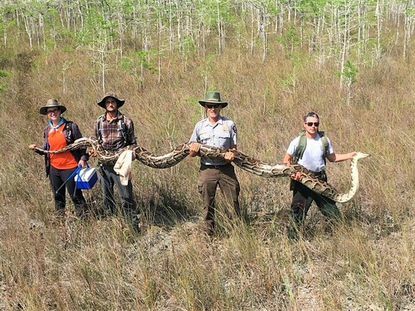 Some 1,600 people registered for the inaugural Python Challenge in 2013, organized by the Florida Fish and Wildlife Conservation Commission.